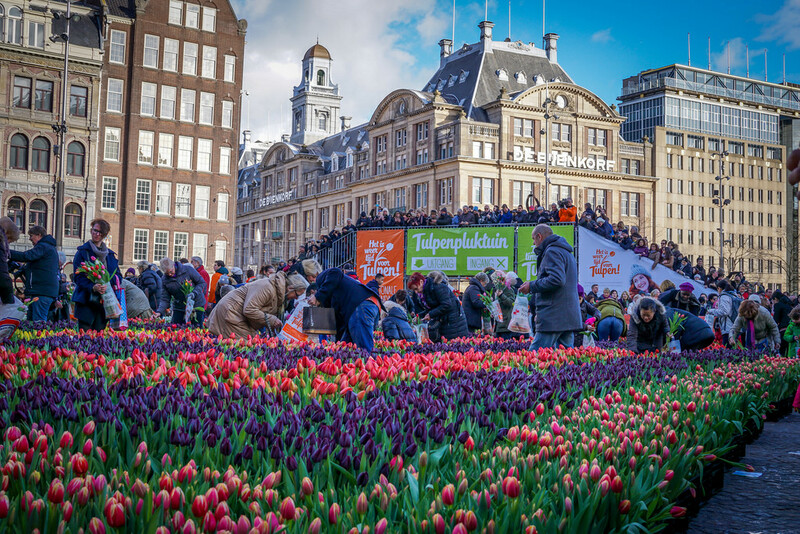 This week the Netherlands celebrated their annual Nationale Tulpendag, or Tulip Day. Every year, flower growers set up temporary gardens around the country and invite everyone to come and pick bags of tulips. 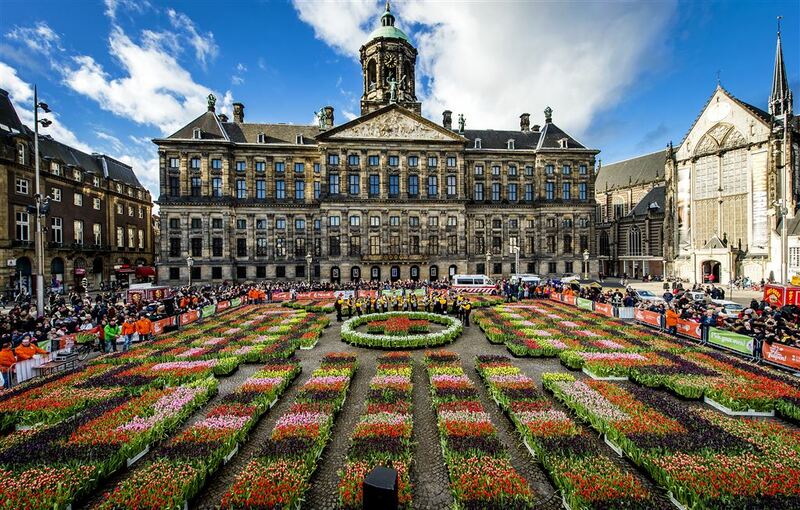 The Tulpenpluktuin in Amsterdam’s Damrak Square offered a rainbow of blooms, which come with bulbs intact so that they can be replanted. We could all use our own version of tulip day about now. This entry was posted in Architecture, Art, Europe and tagged Amsterdam, Damrak, Netherlands. Bookmark the permalink.